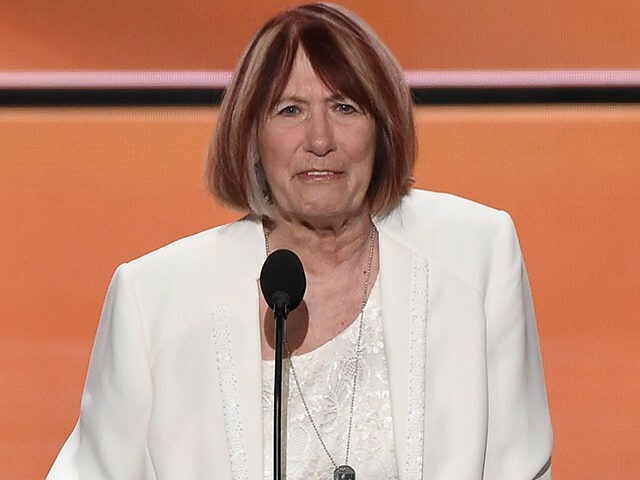 Patricia Smith, mother of Benghazi victim Sean Smith, was a guest on Thursday’s Breitbart News Daily with SiriusXM host Stephen K. Bannon. Sean served in the Air Force before becoming an IT contractor for the State Department. His mother recalled that he tried to enlist in the Navy, but she refused to sign for him. “I told him, I will sign for you if you’ve checked with all the other services. He says, ‘They don’t want me, Mom, because I didn’t graduate college.’ I said, ‘Well, did you check with them?’ He said, ‘No.’ And I said, ‘Well, until you do, I’m not going to sign for you.’ We left it at that, and very shortly after that, they called him from the Air Force, and that’s how he got into that,” she recalled. Bannon, a Navy veteran himself, asked Smith why she hesitated to let Sean join the Navy. She said Sean loved being in the Air Force, where he served for eight years, keeping in touch with her on an almost daily basis, and then he went to work for the State Department after concluding his Air Force service. “I don’t think there was any difference in time. He just went from one to the other. So I imagine he had it all set up ahead of time,” she speculated. Bannon asked if she knew exactly why Sean had been sent to Benghazi as an IT specialist. “He was a computer guy. He was a communications guy, without a gun. He was over there in Benghazi, and they sat him down in his place, wherever it was, and he didn’t even have any security,” she said, growing upset as she spoke. “She pulled the security from him. And he says ‘Mom, I’m gonna die, they pulled it all back.’ I says, ‘You gotta say something about this.’ He says, ‘I did, I begged them, and they wouldn’t.’ He says, ‘We’ve been asking, and they won’t give us security,’” she recalled. Smith said she talked to House Benghazi Committee chairman Trey Gowdy early in his committee’s investigation, and after the hearings were over she was given a copy of the transcripts. Bannon noted that when Chris Wallace of Fox News asked Clinton about Pat Smith, the day after her speech at the Republican National Convention, Clinton said Smith and the grieving father of Tyrone Woods “may not recall everything that was or wasn’t said” during their encounter at the memorial service. Bannon asked Smith if Clinton was calling her a liar. Bannon asked if she had received any recognition comparable to the Gold Star status awarded to the parents of military personnel killed in the line of duty. Smith said a medal was awarded to her son posthumously, but she doesn’t know what it was, as the medal was not placed in her custody. Also, Sean’s name was recorded on a plaque in the Hague. “I believe from the bottom of my heart that she knew it was going to happen, because he told me he told her. I don’t know who he spoke to, the one that was designated to take those — he was a communicator. He communicated all these things to the State Department. He knew what he was doing, and he knew he was going to die,” she said. Smith clarified that her son’s sense of impending danger was based on his observations of the situation in Benghazi, including suspicious behavior by what she called “the February 17 people, whoever they are.” This is a reference to the Libyan militia that was supposed to be providing security for American installations in Benghazi. “I know what she did, even though she’s denying doing it. I know what she did, because I heard from so many different places that are allowed to talk to me. But Hillary’s State Department never has gotten back to me, as she promised. As she promised me, two inches from my face. But I guess she’s allowed to lie like that, and get away with it, because she is Hillary. She is Hillary, and my son is dead. Why?” the anguished mother asked. Smith said she did not currently have serious concerns for her physical safety, but thought various threats of violence had been floated through the media to intimidate her. “Why? Why would they do that to me? 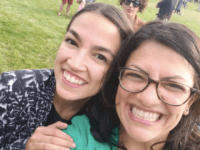 Why does somebody even think that I should be hit, or I should be beaten to death, as they put it?” This last was a reference to GQ writer Nathaniel Friedman, who did indeed express a desire to beat Smith to death after her speech at the Republican convention. Pat Smith expressed confidence that Sean would support her quest for the truth.